Attention: You likely aren't equipped with the latest traffic strategies for affiliate marketing. Read on to prevent falling very behind. "But Does Kobi's Method Bring In Consistent, Passive Traffic?" If you had the exact traffic method AND affiliate marketing method , you'd set up as many of these passive traffic "machines" as you could, right? 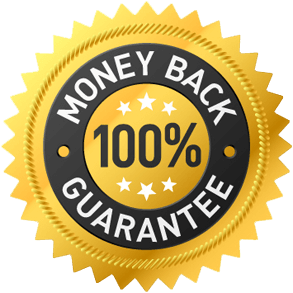 Finally Generate Passive Traffic In Any Niche For Passive Affiliate Marketing Commissions in 2018 & Beyond... WITHOUT SEO or Launching Products! 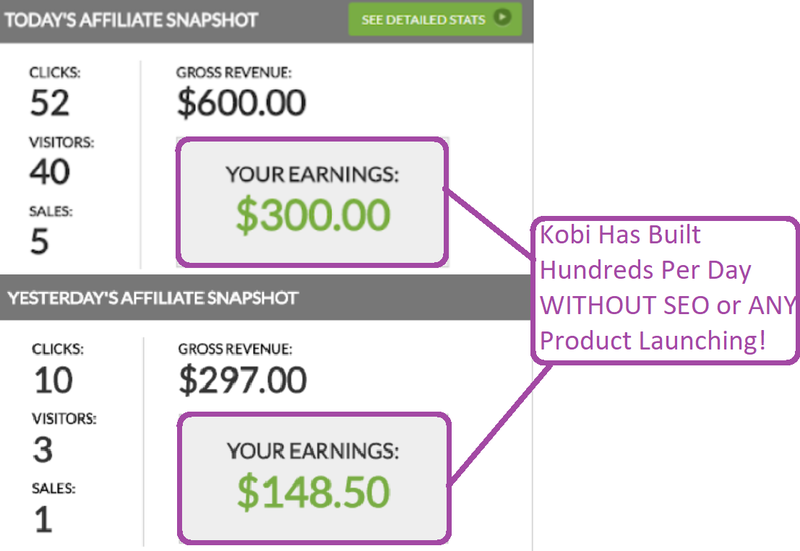 That's why Kobi's method is so powerful...it combines passive, cheap, targeted traffic with his powerful affiliate marketing method, giving you the ability to create passive affiliate income campaigns, basically little "machines" that will run in the background for you and collect passive commissions. Imagine having a a few of these passive traffic machines bringing you targeted, consistent traffic to your affiliate links? So what makes Kobi's results so much more special and unique? Kobi's results have been generated using a 100% passive traffic method that ANYONE can do with a simple $5 to start. Seriously - There's Never Been an Easier Way to Build Passive Traffic Machines And Not Have To Wait for SEO or Launch Products! Stop burning a hole in your wallet – You only need $5 to start with Kobi's method! There's no limit to how much traffic you can send. Create as many passive traffic machines as you like and follow our steps! 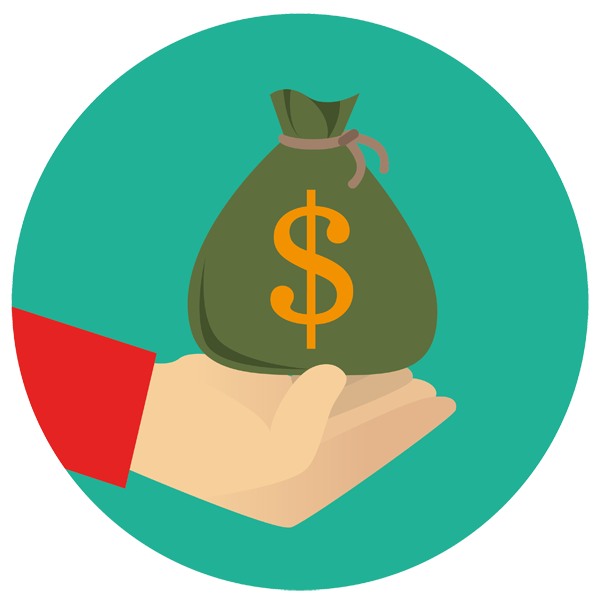 Affiliate Revival is So Easy That Your Typical Average Person Can Make This Work! Get access to our exclusive case study to show you how to add an additional 30,000+ visitors per month to your new-found traffic... and these are 100% FREE visitors and it also works in any niche. Perfect complement for what you learn inside Affiliate Revival. Join newbies and advanced marketers alike in this exclusive mastermind. See other's success, learn from it, apply it for yourself and profit big. 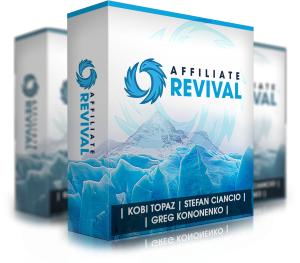 Without this mastermind, you'll miss out on additional secrets that will help you get faster results using the Affiliate Revival system. Try out Affiliate Revival. If for whatever reason you feel it's not for you, then just let us know and we'll refund your money. That's how confident we are in what we teach. Affiliate Revival just plain WORKS! A: It differs for each person. The quicker you implement Kobi's steps, the faster you reap the rewards. It really depends on how much you want this to work for you.